Baby Led Weaning. What does that even mean? 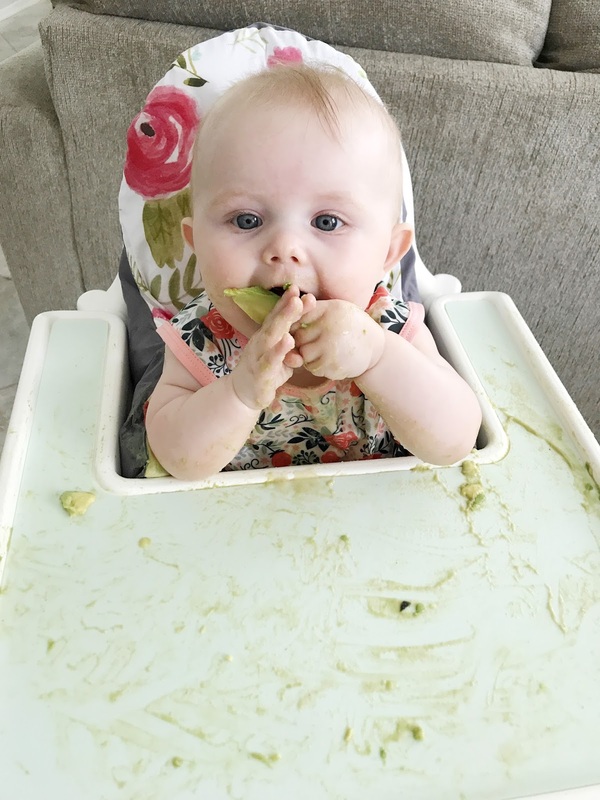 It's the thing to do these days if you have an infant around the 6 month mark and ready to begin solids but honestly, it terrified me. Emery was one that literally didn't chew her food. We had so many scares with her choking (choking, not gagging) because she would immediately swallow whatever was given to her. This time around, I was dreading the transition because the heart stopping, panic moments we're still to real and fresh in my mind. Like she turned blue, you guys. I'm scarred from those experiences. They eat with the family. Baby learns to chew before swallowing. More open minded with foods as they progress. Watching baby experiment was so rewarding. 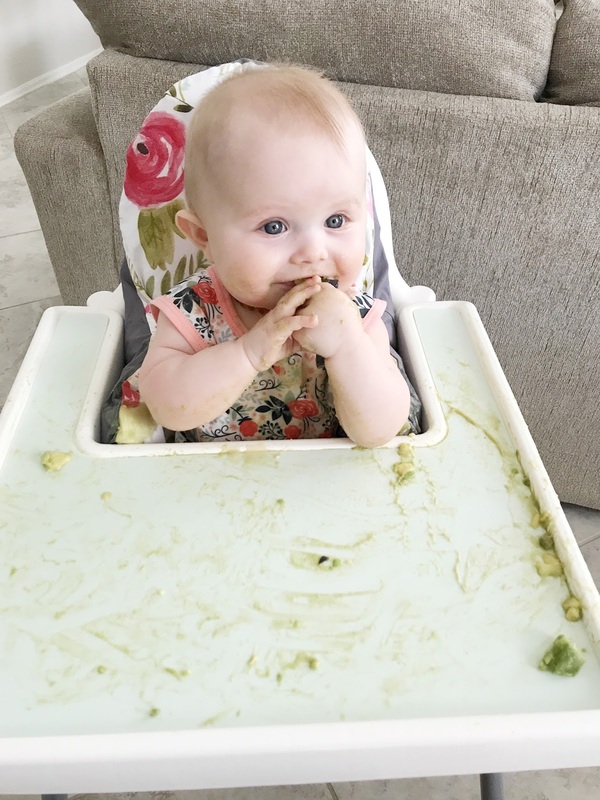 So back to what is Baby Led Weaning? Essentially, you start baby on foods that you are eating, just in slices so they're easy to grab but they don't begin with purees. This gives them the ability to grab, play, bring food to their mouths and learn to do it all on their own. I have been sharing about this and my thoughts the last couple weeks on my instastories and one gal responded saying it's a "sit on your hands" experience but it soon passes. Meaning? The first week or so, baby gags, a lot, learning how to manage foods, mash them up, chew and swallow. It's natural and SAFE that they gag. Gagging is NOT choking. That is what has been so hard for me to understand and differentiate because I literally panic hearing that sound. So when this girl said it's a "sit on your hands" experience I was like "YES GIRL!!" it's so true. 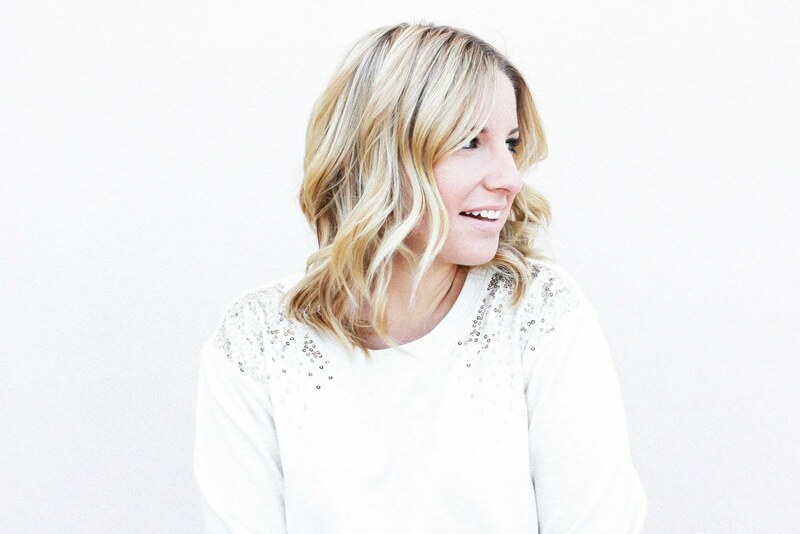 I went to a class lead by Feeding Littles at Modern Milk last weekend and learned SO much. I essential debriefed it above but you should follow Megan. 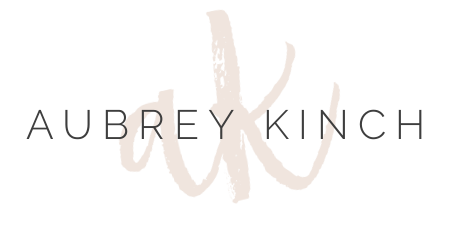 She gives awesome tips on the process and has a Facebook group you can join to be part of an amazing community all about BLW. She knows her stuff and after sitting in a 90 minute class, I went home excited, confident and so pumped to get Hollyn started! Since then she's done so well! Constantly excited about eating time and grabs at whatever I'm giving her. She's a chill baby in general and much more laid back than Emery ever was so I think going this route is just more her style. 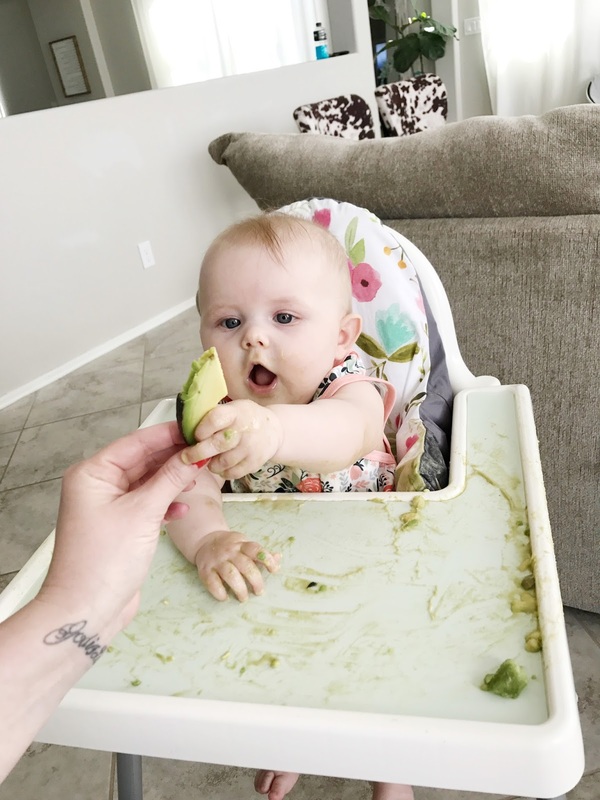 We've tried avocado (seen above) oranges, blueberries, bell peppers, oatmeal, raspberries, asparagus and yogurt. I'm excited to try some eggs and fish this week and some crock pot chicken too. What's your vote? 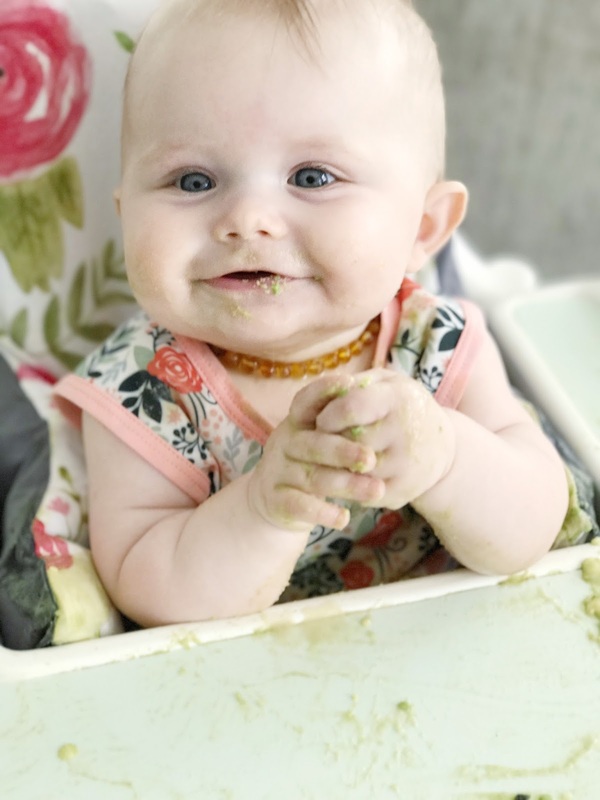 Traditional purees or going with Baby Led Weaning?